Back on the market.Pest clearance and inspections completed. 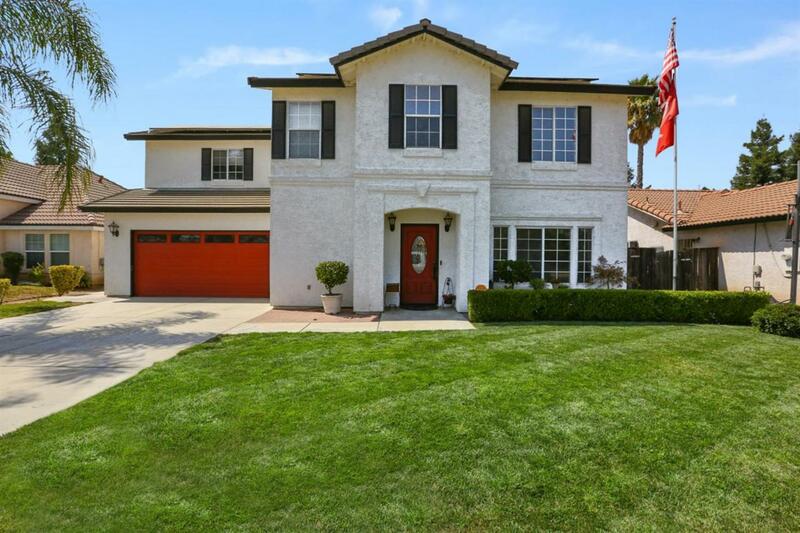 Fabulous listing in much sought after NW Madera. This gem is polished and ready for you to call it your home!! Open floor plan of over 2000 sq ft that opens into the living room from the kitchen allowing for great family get togethers. Lower level has luxury vinyl, laminate and tile flooring that all make for easy care. Upstairs boasts 4 spacious bedrooms all with walk in closets! The master bedroom has new laminate flooring and a fully remodeled master bathroom. The garage has a great work area with custom cabinets and work space for those weekend projects. The large backyard provides peace and solitude as well as provides 2 large storage sheds, avocado tree and covered patio. The owner purchased and had installed a whole house water softener. Solar is leased and has provided a substantial savings on monthly electric bills! Don't wait as this one wont last long!! Listing provided courtesy of Robin Fagundes of Century 21 Jordan-Link & Co..